Ready for some serious relaxation? 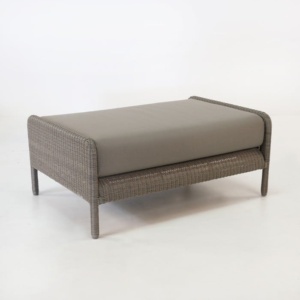 Melt into the glorious and charming design of the Jelli Round Outdoor Ottoman in dashing Ash. 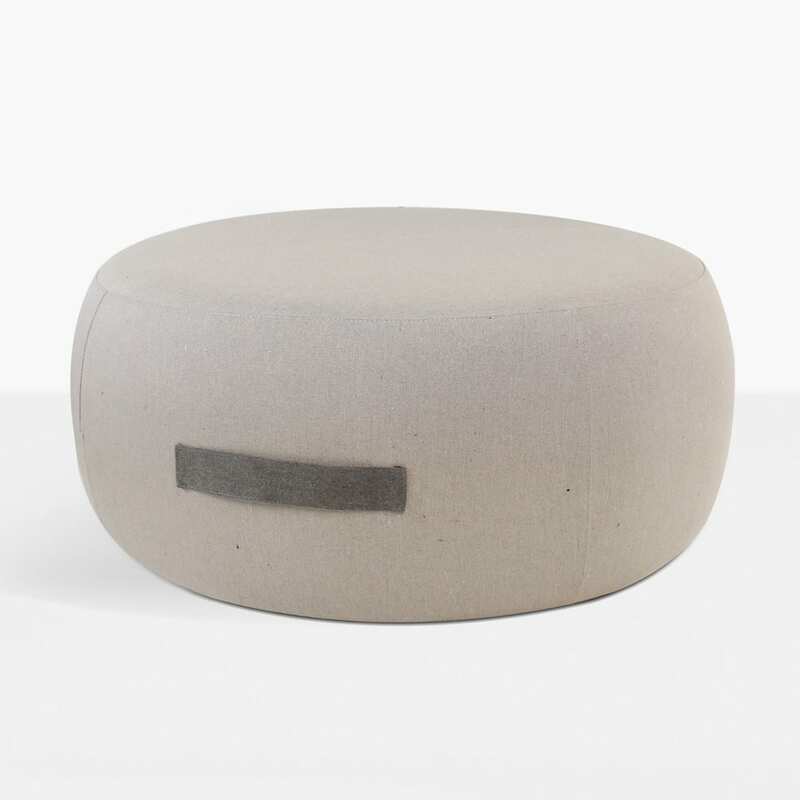 The Jelli Round Ottoman is part of the new wave of outdoor seating and lounging. An incredible design and top quality materials makes this a comfortable and contemporary step into luxury. Whether you place at the end of a relaxing chair, as part of your deep seating unit, or as a seat all on its own, the stunning Jelli Sunbrella® Ottoman affords you a stylish place to rest and relax in the indulgence you deserve. 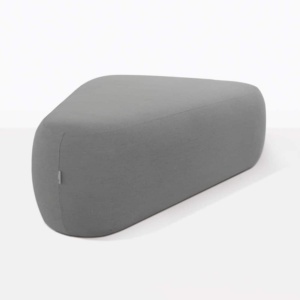 Our Jelli Ottoman, is all about comfort, flexibility, quality and style. 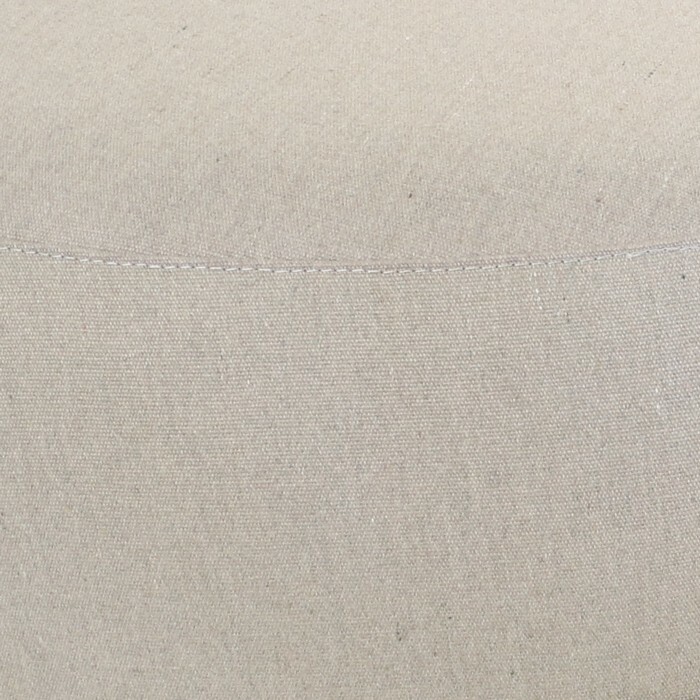 A wide circular framework, and low to the ground is anchored on a strong aluminium frame and bolstered with crowd favourite Sunbrella® fabric filled with QuickDry® foam, ensuring that your Jelli Ottoman has the strength to carry on keeping you in comfort for many moons to come, in the great outdoors. Place this fantastic piece in amongst a deep seating unit with linear lines, to break the look up and give it quirky charm. 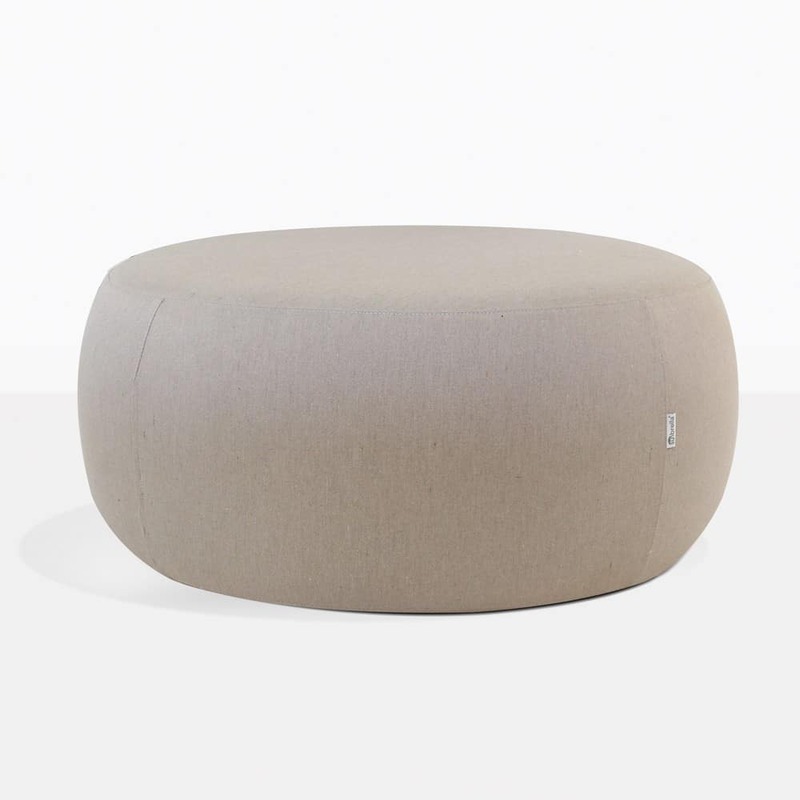 Imagine a couple of the Jelli Outdoor Ottomans nestled in to a nook in your garden, with a low side table, as a fabulous alternative to a relaxing chair, where you can bask in afternoon sun while reading a good book. 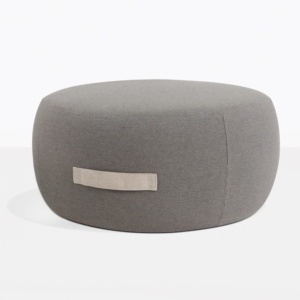 The versatile Jelli Ottoman looks great indoors as well! Set up in your living room or study as an extra place to pop your feet up or cater to extra guests when you’re hosting a soirée! This charming piece of outdoor furniture is also available in Granite Sunbrella® so you may choose the piece that fits in best with your current look. At Design Warehouse, we know options work, which is why we have the largest range of outdoor furniture in New Zealand. Visit our website, or pop into our showroom in Auckland for the full experience of outdoor living. To order your Jelli Ottoman, call now! You deserve comfort, and comfort is what you’ll achieve with this marvelous piece of seating.